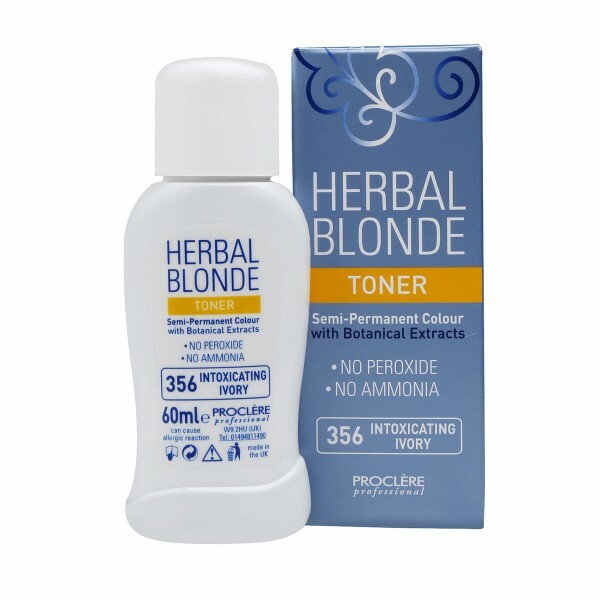 Proclère Herbal Toner 356 Intoxicating Ivory is a gentle way to give bleached, highlighted or lifted hair the TLC it needs after bleaching. 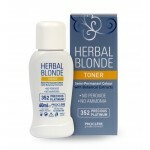 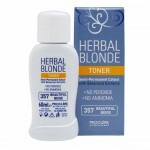 This no ammonia no peroxide semi permanent hair colour toner or as a colour refresher in between blonding applications. 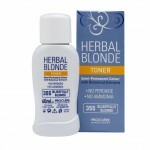 Give your light blonde hair a delicate soft tone that will enhance lustre and shine.